Last week I held a nature photography contest on Fine Art America. I got to see a variety of unique and inspiring nature photos from photographers around the world, and judging was a good exercise in critical analysis. There were 174 entries, so it was a challenge to narrow them down to only three. As a simple prize, the top three winners are featured here this week. I selected the winners based primarily on lighting, composition, detail, and overall impression.You can click on the winning images to view the respective photographer’s photo on Fine Art America. 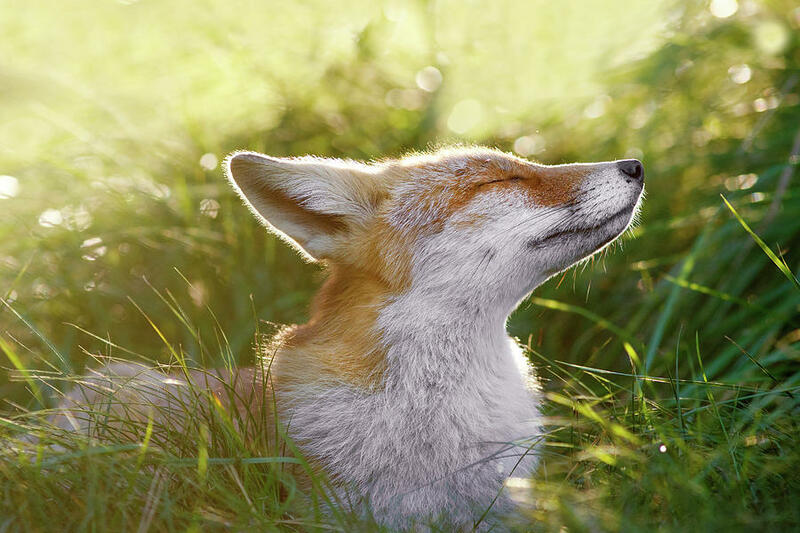 “Zen Fox Series – The Sniffer” by Roeselien Raimond. Everything about this photo is excellent – the back-lighting, the fox’s expression, the balanced colors, the detailed texture of the fur… and the image is so clear you can almost forget you’re looking at a picture. “Mirror Mirror” by Peng Shi. Not only is this a beautiful scene, but it’s also superbly composed – the bright sky draws your eyes in, which the follow the sun beams to the waterline, up into the dark hills, and then back down the ridge. 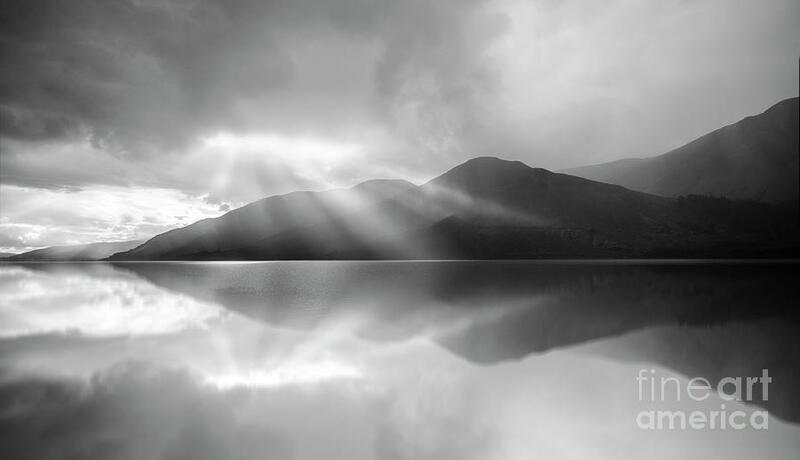 Being black-and-white really emphasizes the horizontal symmetry. “Gator Explanation Mark” by Jennifer. I’m not sure about the title of this photo, but I wasn’t judging titles. 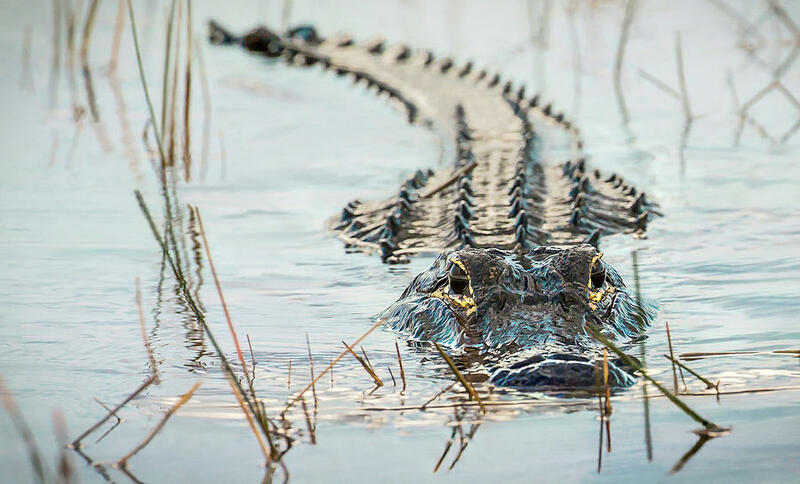 What makes this image eye-catching is the alligator’s spines that run vertically and always lead you back to its peering eyes. In addition, the soft light, the wet gator head, and the slight water ripples result in some interesting visual textures that contrast with the pointy spines and likely our imagination of the creature itself. Congratulations to Roeselien on first place and for an amazing nature photo! Congratulations to Peng and Jennifer as well, and thank you to everyone who entered the contest! Now it’s time for a mystery. I was pondering topics for blog posts and came up with doing a Macro Mystery series. The idea is simple – I share a macro of a random object, and you see if you can identify it. This could be rather challenging, but above all I hope it will be fun and insightful! Are you ready for Macro Mystery #1? The first image is a cropped version (for even more of a challenge), and below it is the full macro clue. Macro Mystery #1 – cropped clue. Macro Mystery #1 – full clue. Do you think you know what the object is? You can write your answers/guesses in the comment section, and the answer will be revealed in next week’s post! The answer has been revealed in this post.